Everyone knows that Thanksgiving is a time to give thanks -- the question is, where to begin? From the turkey on the table to warm, cozy cuddles, life is full of small things and bigger pleasures. But what is most important is being able to share them with family! 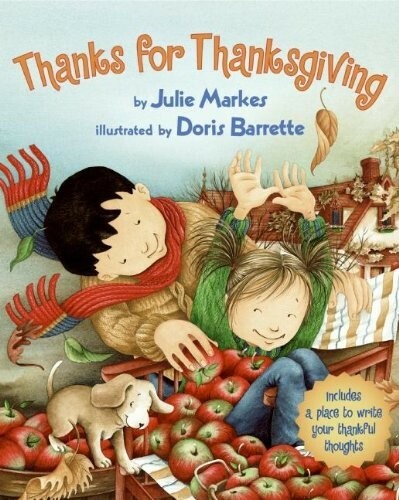 Julie Markes reminds kids and adults alike about the little details that make each day enjoyable, while Doris Barrette's beautiful and striking illustrations bring her thoughtful words to life.